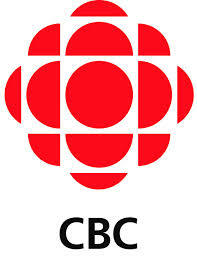 I’ve been tuned in to CBC for as long as I could understand English. As a child I of course loved Hockey Night in Canada (or whatever it was called back then) , stayed up late to watch CBC news and skipped church just so I could listen to Sunday Morning on the radio. When I became a young adult and moved to Southern Ontario, I tuned in to Metro Morning so I could listen to intelligent radio rather than hear the same tired tunes and commercials. I was thrilled to hear CBC radio playing on Jane Fonda’s car radio in the movie Agnes of God, In the days that Peter Gzowski hosted “Morningside” I was convinced that CBC was the glue that held Canada together and if someone had proposed a voluntary tax or telethon pledge to keep it going, I’d have coughed up some cash. Then something changed. I no longer liked tuning in to CBC Toronto; its morning hosts starting with Andy Barrie introduced irritation to my day right from my first waking moments with the clock radio alarm. His interviews were a showcase of leftist causes and made Toronto ever so progressive. Then came the tireless promotion of multiculturalism; the CBC would lend its megaphone to anyone with a petty grievance and axe to grind if race could be construed to be a factor. Then I discovered the CBC News website – that’s when the bottom finally fell out. The time that I tuned out of television in general and stopped subjecting myself to CBC Radio One in the mornings was the same time that I started to turn to the web. But as I discovered the parallel universe of Islam I began to realize that CBC inhabited that same universe and broadcast from it. As news stories of atrocities and terrorist bombings began to inundate the news, I noticed that CBC scarcely covered these unless the they were so close to home or so vile that the CBC could no longer pretend that they did not happen. And when the stories were covered, words would couched to hide the true nature. Headlines would make no mention of religion if Islam were involved. Instead the issue would be “ethnic violence” and the perpetrators would be described only as “youths”. The CBC’s reader forum has become a joke. Most stories involving Islamic terror or Islamic dysfunction are off- limits and no comments are accepted. For stories where comments are allowed, the Moderators are heavy handed and suppress any comments that are critical of Islam. I rarely bother commenting on the forum and gave up months ago when too many of my comments were “disabled”. Below are comments made some months ago. The first two were posted to the forum for a short time (long enough to garner a few “likes” from other readers) before the Moderator decided I had violated the conditions of the site. I of course violated no terms listed but rather only the unwritten condition that under no circumstance can Islam be criticized. I know that I am not alone in quitting the forum. Because of CBC’s relentless suppression of all facts and opinions that put Islam in a bad light, I have seen that fewer and fewer rational people bother to leave comments on the forum anymore. It has been overrun by Islamophiles (flattering stories, unsubstantiated Islamic myths are always welcome) and irrational, incoherent people and leftists that manage to slide their opinion that (no matter what the story) it is the fault of Israel, the US or Stephen Harper. The only surprise was that this comment was allowed to stand but then again, the story wasn’t about Islam or Muslims. Knowing what the CBC does to comments, I can understand that they do exactly the same with facts that don’t suit their fairy tale picture of the world. Lorne Green and Matthew Halton must be turning over in their graves! ← Oh baby it’s (still) cold outside!